1) Carefully review your sales data for the last three months of the previous calendar year. Highlight key peaks to help forecast sales activity for this year's holiday season. 2) Ask your sales/marketing director for a list of holiday promotions scheduled to be launched through the end of the year. Make sure that you have plenty of the promotional items in stock. 3) Identify items that are currently on backorder and make sure that they are not included in upcoming promotions. Backorders are a source of frustration and can result in lost business for your company, so it is best to avoid inclusion of any low stock items in your promotional materials. 4) Make a list of your top 10 overstock items and feature them in your first holiday e-blast. When reviewing your calendar of promotions, consider kicking the holidays off with a promotion featuring your overstock items. This strategy helps to move product in preparation for year-end inventory. You can also feature slow-moving or overstocked items on homepage banners or in order and/or ship confirmation emails. 5) Consider bundling smaller overstock items as "free gifts" or at a discounted rate with the purchase of larger items. This tip accomplishes two goals: It delights your customers and helps you push slow-moving items out the door. 6) Communicate regularly with your 3PL provider to ensure their preparation for your upcoming spike in shipments. By keeping your 3PL provider posted on your expected increase in year-end activity, you will help increase the chances that your customers receive their orders on time or early. Giving your fulfillment partner advanced notice of upcoming promotions or anticipated volume increases will allow them to prepare staff and resources to ensure orders are filled. 7) Set conservative reorder points for your most popular items to ensure that you do not deplete your supply. By automating the reordering process, you will help reduce the possibility of backorders. 8) Carefully monitor sales and shipping reports to keep tabs on this year's holiday purchasing trends. The regular generation of real-time sales and inventory reports is critical, especially at the end of the year when product demand increases. 9) If your stock of a particular item is completely depleted, offer interested customers a discount on a similar model that you currently have in stock. This strategy shows your customers that you are doing everything that you can to meet their needs. We invite you to contact us if you would like to learn more about preparing your company for the holiday rush. 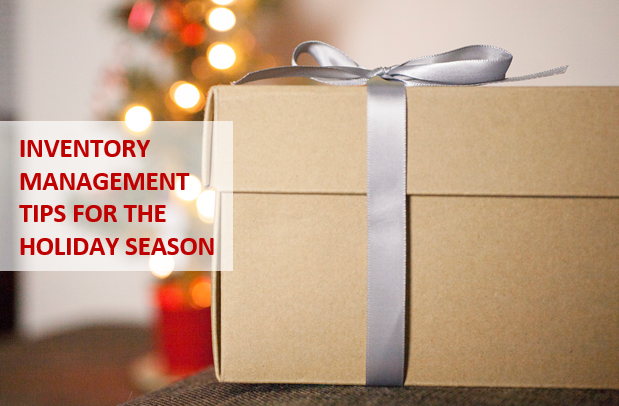 Our fulfillment experts look forward to helping you make this holiday season your company's most profitable season ever!